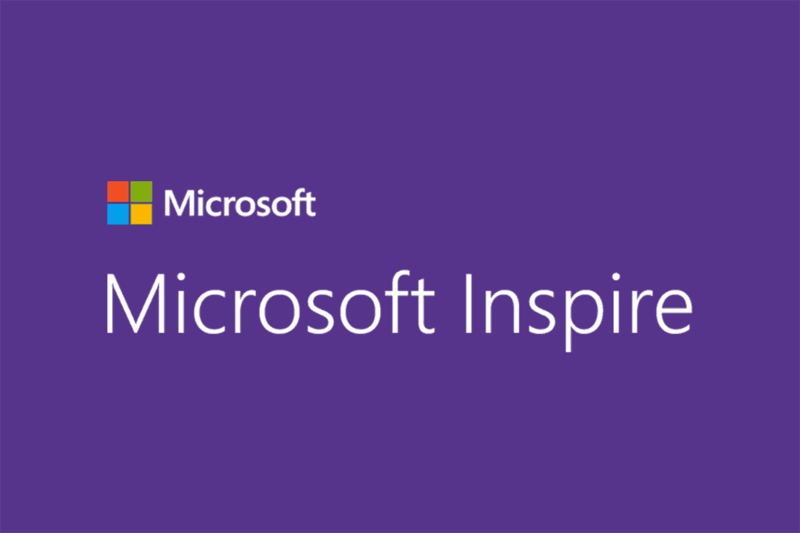 Find this Podcast “Microsoft Inspire 2018 Recap from ThreeWill” on the ThreeWill Soundcloud, Stitcher, and iTunes. Danny Ryan: Hello and welcome to the Two Bald Brothers and a Microphone Podcast. This is your co-host, Danny Ryan. I’m here with the other co-host, Tommy Ryan. How you doing, Tommy Ryan? Tommy Ryan: Doing well. It’s an orange day today. Danny Ryan: It is, we both have our, you’ve got your Clemson orange. Danny Ryan: It is kind of like a Clemson orange. Danny Ryan: It’s not exactly the same, but it’s close enough. We’re both in our orange, respective orange shirts today, and both bald. Danny Ryan: This is, “I need to shave” look, but yep, it’s a little stubble today. You probably had an incredibly productive week last week with me not being around and at the conference. Tommy Ryan: I should take three weeks vacation now. Danny Ryan: Ignite, they’re too close. Tommy Ryan: Yeah they are close, they’re very close. Danny Ryan: Yeah, when I was coming back I Tweeted something, and I used Ignite instead of Inspire, and Kirk was kind enough to correct me. Danny Ryan: I just went back on and just deleted the Tweet. I was like, “Okay, I tried, I tried.” Yeah, it was a good week. I was out with Jeff Meyer. For those of you who don’t know, Jeff actually joined us not too long ago. We’ve done a couple of podcasts with him, and Jeff’s leading up our partnerships including our partnership with Microsoft. Tommy Ryan: A very key one. Danny Ryan: Yeah, very key one, and it was, had some great conversations with Microsoft. What was interesting, Jeff and I noticed we didn’t run into a lot of Microsoft employees, and we didn’t, it was … The way that the week was set up was they did Inspire at the beginning part of the week, and then what used to be called MGX, or now is called Microsoft Ready, towards the end of the week, which is the Microsoft get together, and the sales kickoff for their year was the latter part of the week, so we started seeing some more Microsoft people flying in the latter part of the week. Flying in to see if they still had a job or not. It wasn’t like last year’s partner conference, where unfortunately there were some people who were let go during it. This year, didn’t hear anything about that, which was great. Spent a lot of time, Jeff and I spent a lot of time in the Expo area, trying to get our arms around all of the different share point, Internet in a box options out there. Tommy Ryan: Find any new ones? Danny Ryan: New ones, no, but did spend some time just learning some, getting to know some of the ones that we hadn’t run into yet. Danny Ryan: Valo was one of them. Danny Ryan: They’re more, they won the value award from Sam. Danny Ryan: It seemed like they’re more on the, for people who are, I guess their licensing is very reasonable. Tommy Ryan: Okay, so they’re more cost conscious. Danny Ryan: Yep, and we dropped by their booth. Had a, Powell 365 folks, had a party and we had a great time at their party. Danny Ryan: Ryan was there, and Antwan, and … Who is neat, and spent some time with them. Sat down and talked about next steps and things like that, so that was good. Yeah, I was split in between doing, going to the core notes in the morning, which the core notes, you know, we’ve been doing this for a long time and so it’s a bit formulaic, which is … I’ll start off with, “Thank you,” and then there’s typically the next part of it. We’ve never been at a time like this before, and you know, every year it’s … Then you hear partners are going to make 8 trillion dollars, and then I always make the joke where I look, and I just say, “I want one half of one percent,” so they’re standard jokes, and it’s just sort of, it’s the similar things happen every year. Tommy Ryan: Some good warm up bands as you’re entering in? How did they get the crowd warmed up? Danny Ryan: Yeah, so one of the mornings it was someone from Athens. I don’t know if Jeff told you about this, but Cobiashi. Danny Ryan: Who is a violin player. Danny Ryan: Really did a good job of getting folks psyched up for the day, and did a, had some video to support him. Yeah, that got us pretty pumped up. There was another morning where it was a group that was sort of leading up the, everybody singing a Beatles song. Danny Ryan: They had that, All You Need is Love, I think was the song, or Friends, it was probably another one. It’s early, I need some more coffee, but it was just something where they got the group all pumped up. Then another one was a guy who I really enjoyed because he started off with, it was a total punk of everybody in there, where he was starting off with like, you know, “I’m here to introduce the next product from Microsoft. This is going to …” It’s something where he’s making, trying, using all the terms in the wrong way, just subtly off, to get everybody sort of worked up about it, and he’s like, “We’re moving beyond the cloud. We’re moving to just one device,” and he had a device that was a recorder that would, he was going to use to sing a song, so he was, you know, basically got people worked up, and then it was just, it was interesting because as an American I picked up on the subtle sarcastic sort of take on the whole thing. I could tell some of the folks from other countries, the humor was, it was just a little bit off. Tommy Ryan: Yeah, did not translate, yeah. Danny Ryan: It didn’t translate well, but he did a brilliant job, but basically said Microsoft’s going to bet it’s future on this device that he had on the stage, and then he wanted to show everybody what this device could do for you. It was just, I enjoyed it. I don’t know how many other people enjoyed it, but I enjoyed it. The last day, Satya did a talk, so they waited til the last day for that. Danny Ryan: It was very much about what our mission is, this is the opportunity we have in front of us, we need partners to do this. There is overall, it’s interesting to see Microsoft’s approach with the partners because we’re there to bring the last 20% to a solution, and it’s interesting to see business model wise, is that what a lot of organizations want, or do they want the whole solution from one partner? I think that’s something interesting that’s going on right now. The core notes were in the morning and then lots of meetings. This wasn’t … I didn’t see as many, you know like in other ones, we would go see more about like covey stuff, or how to run your business, or what’s sort of small business types of topics, and I didn’t hit any of those this time. Tommy Ryan: Yeah, do they have these things recorded that you can go back and look at it? Danny Ryan: They do, I haven’t gone back and looked at any of them, and I don’t know how many of them I would, to be honest. Danny Ryan: I’m more, I mean I sort of missed, there weren’t any product announcements, so I think that’s where you’ll cover that in Ignite. Danny Ryan: It wasn’t very, it was more about the, you know they had the crazy numbers about, “For every dollar we sell, partners make,” I think they said nine times, and those types of things where it’s more what we need to do together as partners. Expo was good, I mean it was a pretty healthy Expo area, and they had, we ran into the most folks in the Microsoft, the regional area. Had a good time, probably the best, you know the party that we went to, I had never been to Old Las Vegas, over on Fremont Street. Have you ever been over there? Danny Ryan: They had the U.S. Partner party over there. Jeff and I enjoyed that. They had it out and I mean the weather was, it was 8:00 at night and 108 degrees outside. Danny Ryan: Yeah, but that was a really neat part. We ran into some Microsoft folks, which were some really good connections, from Jeff’s past that should help us out in the near term with some projects that we’re working on, but it was good. It was, overall I think a good conference. I don’t know, it was … It’s interesting to see right now, because I’m used to running into other partners from the Southeast, who do typical stuff to what we do. We did run, Jeff and I talked to the B2B guys. Tommy Ryan: What was your big take away? What was the key thing? Danny Ryan: My big take away, well this was my favorite part, was my favorite part of the whole week was seeing Satya show his personal work flow. Danny Ryan: Yeah, how are people really using, and of course this is, he probably has his own, this is a glimpse at what it is, but the joke with Jeff and I is that our iPhones are not iPhones. They’re Office 365 in points. Tommy Ryan: In points, yeah. Tommy Ryan: That’s how he justifies putting an Apple product in his pocket. Danny Ryan: Yes, and an Android, and so of course the home screen is all Microsoft apps all over the thing, and I’m sure has a folder on the second screen, which is all of Apple’s apps, and then Google’s apps too. It was interesting to see that. I saw, he did have, he talked about Microsoft’s To Do, which I was interested to see. Tommy Ryan: Sure, they always will be. Danny Ryan: They always will be, so that’s their focus. I think with what they’re doing with, there’s less of a focus on, overall focus on driving Windows, and it’s about Microsoft 365. Tommy Ryan: Yeah, it’s not Windows 365. Danny Ryan: Yes, it’s Microsoft 365. What other take aways? Yeah, I think the, it was interesting seeing, being there with Jeff, and seeing some of the, him pick up some of the relationships that he’s had with people. The Quest has come sort of full circle. Danny Ryan: Where Quest used to be a stand alone software company. It was purchased by Dell, and now is back to stand alone. Tommy Ryan: Then purchasing other companies. Tommy Ryan: Yeah, it’s free to free. It will be a challenge. Danny Ryan: Yeah, I don’t know if the business model’s there. I don’t know how much of a, whether it’s going to be a small companies will want this, and moving off of it. Yeah, that’s it. Good week, I don’t know, I sort of, between Inspire and Ignite, I think next year I would like to go to Ignite, because I kind of like learning where things are going. Danny Ryan: I’m like you, I like to keep my hands a little dirty, and so I’ll be interested to hear what you learn, and where things are going. One of the ones that I really enjoyed, my favorite presenter was Jason Zander, who is in charge of Azure. Danny Ryan: He just are going, they’re still going nuts with what they’re putting out, and what the group is doing, and I think Scott Guthrie is behind the scenes, making a lot of this stuff happen. I didn’t see him per say. You’ll probably … You’re going to Ignite, right? Danny Ryan: You’ll probably see more of the details of what’s going on, but just Azure is an overwhelming success for them. Danny Ryan: Continues to be, and them taking on Amazon and seems to be a real big focus for them. Dynamics, you know, it’s an interesting thing for us because we want to build business apps, and when you say building business apps, on the Microsoft Cloud. Microsoft views that as dynamic, falling into the dynamics area, and off the share point area, so I’m still not sure what to say there, and still not sure how much of our, what sort of focus do we put on that, as a partner, so that’s still out there. I don’t know if I came to, I kept on asking Jeff saying, “Where do we think we fit into dynamics,” because I think Microsoft sees a big opportunity there. Tommy Ryan: They do, I think they put a lot of marketing behind it. It just seems like the … It’s not, it’s falling flat with customers. I don’t hear customers talking about it. Danny Ryan: Yeah. I think the Microsoft sales force relationship isn’t going. I think from everything I’m seeing on sale force’s site, they’re partnering with Google when it comes to enterprise collaboration, so I don’t, I think things are not gelling there. Tommy Ryan: Yeah, after the acquisition go through, I mean I think there was a lot of, explore this as we kind of court a little bit, and then I think they’re both moving on, not getting rid of maybe some of that stuff that they did, but not investing that much more. Danny Ryan: We had some conversation about Facebook at work with some folks. Danny Ryan: Seeing whether that might be … I think Microsoft, there’s also, there’s a group inside the Office 365 that’s focusing in on Compete. Tommy Ryan: Yeah, one of our big clients recently, for a job migration, has Facebook. Tommy Ryan: For the workplace, and it’s not a trivial size implementation, so that’s … At least one has showed up on the radar. Danny Ryan: Yeah, I think that’s the thing, was we look at what’s next after Jive is the size of the implementations too, because if it’s a, it’s the smaller ones and also the value of the content that we’re moving over. Jeff spent a lot of time with me, trying to explain what drives Microsoft [inaudible 00:18:56], which is consumption of services, and so why is it beneficial that we move over the 6 terabytes of data to their new environment, and that’s because they’re using the new environment and not just focus in on getting users signed up, but are they using their environments, and have we moved over content that’s valuable to them, and why they would care about that. That’s making sure that everyone understands from all sides, including Microsoft. What is the value of what we’re doing when we’re getting these new clients set up on Office 365? That’s my take away from conversations with Jeff. Danny Ryan: It was good. We had a, it was nice having some extra time, just getting to know Jeff, and we had some fun times as well, and just some good bonding time. Danny Ryan: Yeah, there were a lot of things that I got out of the week, but it will be interesting how that comes into the planning for next year. I’m sorry, I talked a bunch this morning, but just catching you up on things. Tommy Ryan: Yeah, I mean that was the focus for today. Danny Ryan: Yeah, for sure. Next week we can pick back up on the book, on Hit Refresh, and pick up on Chapter Two, and we’ll go from there, so thanks, Tommy. Danny Ryan: Thanks for listening and asking questions. Danny Ryan: Thank you everybody for listening and have a wonderful day. Take care, bye-bye.